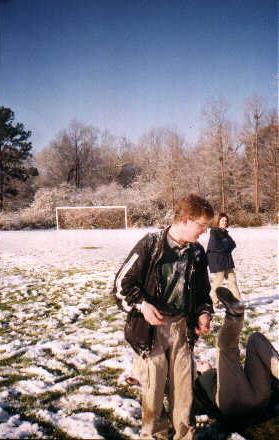 A while back we had the first snow of the year in South Carolina. It was the first snow in eleven years for us. 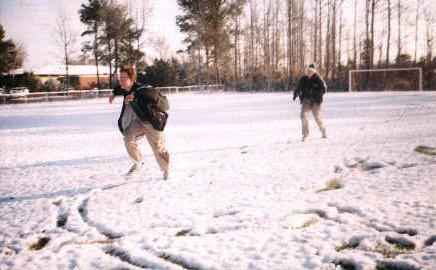 The Senior class went out on the soccer field and tried to make a snowman but,We ended up having a snowball fight. We got some pictures of it.Chris and I were battling just for fun. My dad got some pictures of it. 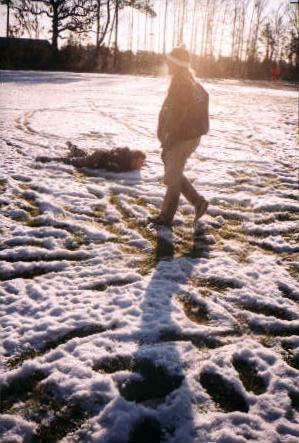 I fell over when he put a handfull of snow in my face. Being sneaky eeehh? ?